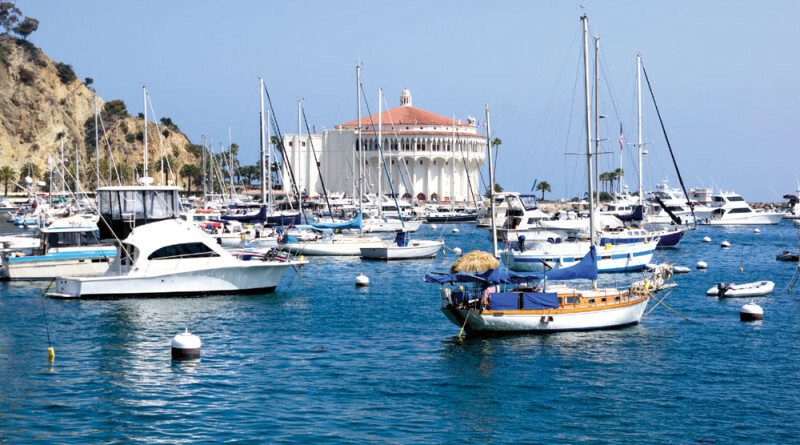 AVALON — Catalina Island’s only municipality will be receiving a $32,400 grant from Cal Boating to remove abandoned recreational vessels and encourage boaters to surrender potentially inoperable boats to the city. Avalon’s City Council voted on Sept. 15 to accept a state grant as part of California’s Surrendered and Abandoned Vessel Exchange (SAVE) program; the city must make a 10 percent contribution match to secure the funding. The funding will help city officials remove two abandoned vessels within its jurisdiction, according to Avalon Harbormaster Brian Bray. “There are currently two abandoned vessels in the Avalon area and we want the ability to encourage other boaters to surrender their vessels before they may become abandoned,” Bray said. Without the funding Avalon would have to pay for the removal of abandoned vessels with money from the city’s Harbor Fund. “With this grant, the city will receive assistance in the removal and disposal of vessels that are submerged or abandoned by their owners. Abandoned vessels not immediately removed may pose potential safety hazards,” city staff stated. Avalon and Catalina Island are patrolled by two different entities, Bray said. All vessels moored within Avalon’s city limits are monitored by the city’s Harbor Patrol, while the county keeps tabs everywhere else. “Avalon Harbor Patrol patrols the city waters and makes contact with owners of the boats that are moored and anchored within the city. Los Angeles County Sheriff’s Department patrols the island outside [Avalon] and makes contact with boat owners outside the city limits,” said Bray, whose department applied for the SAVE grant in July. Both units, collectively, would be responsible for monitoring the island to ensure boaters do not come to Catalina solely to abandon a vessel, especially near more remote areas such as Shark Harbor or China Point. Abandoned boats in Avalon have occasionally made headlines. A 40-foot boat caught fire a few nautical miles away from Avalon Harbor in 2014. Two occupants aboard the boat escaped the burning vessel before it sunk underwater, KTLA reported in June 2014. A sailboat reportedly ran aground near Two Harbors in April 2014, though it is unclear whether the vessel was abandoned. The number of boats abandoned in California varies by location. A San Diego City Council resolution stated law enforcement personnel recover about 30 abandoned boats annually in Mission Bay. Roughly 20 vessels are abandoned each year in Marina del Rey, according to the County Sheriff’s Department. Newport Beach reportedly junked or demolished about 10 abandoned boats in 2013. No information was publicly released about the two vessels currently abandoned in Avalon. A boat owner can surrender his or her unwanted vessel at no charge as part of the state’s Vessel Turn-In Program, or VTIP. Anyone found guilty of abandoning a vessel could face up to $3,000 in fines and be held responsible for removal and disposal costs. SAVE funding cannot be used to remove abandoned commercial vessels.